What do advances in modern warfare mean for national and international security? What challenges face humanity in the nuclear age? 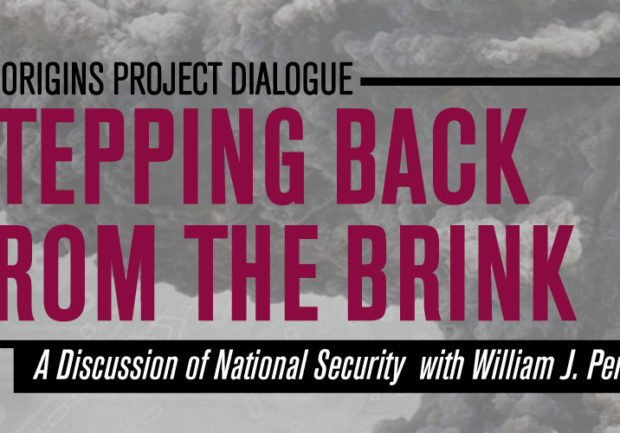 Join us for the first Origins public event of 2018, an Origins Project Dialogue: Stepping Back from the Brink – A Discussion of National Security with former U.S. Secretary of Defense William J. Perry and Origins Project Director Lawrence Krauss for a conversation on national and international security, nuclear policy and the challenges of modern warfare. This event will also be live-streamed for the public. William J. Perry is one of the world’s leading authorities on U.S. Foreign Policy, security and defense, with distinguished careers in business, government and academia. He has previously served as the U.S. Secretary of Defense and advised then-president John F. Kennedy during the Cuban Missile Crisis. Lawrence M. Krauss is the director of the Origins Project and Foundation Professor at ASU’s School of Earth & Space Exploration and Physics Department. He is an internationally-known theoretical physicist with wide research interests, including the interface between elementary particle physics and cosmology, focusing on the origin and evolution of the universe and the fundamental structure of matter.